It's a crazy busy time of year, but I still can't help but find time to get into the kitchen and bake cookies. 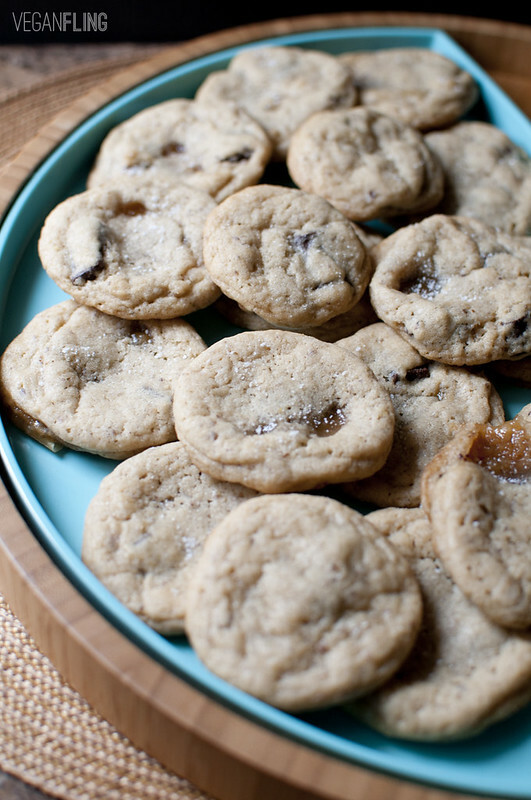 There is just something about warm cookies on a plate that works perfectly for the holidays. 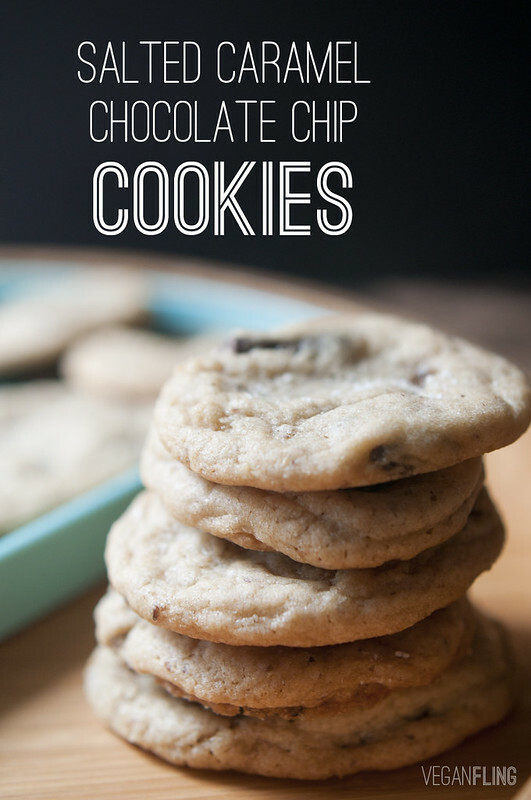 I thought today I'd share with you a recipe for delicious salted caramel and chocolate chip cookies which would be a perfect addition to any cookie exchange or party spread. I included these beauties in my holiday gifts this year, but of course had to taste test them myself first! I just couldn't resist the draw of chocolate and caramel. I hope you enjoy them too! Cream together the vegan butter and the sugars with an electric mixer. Add in the flax eggs and vanilla and mix well. Mix in the flour and baking soda and stir until a dough forms. 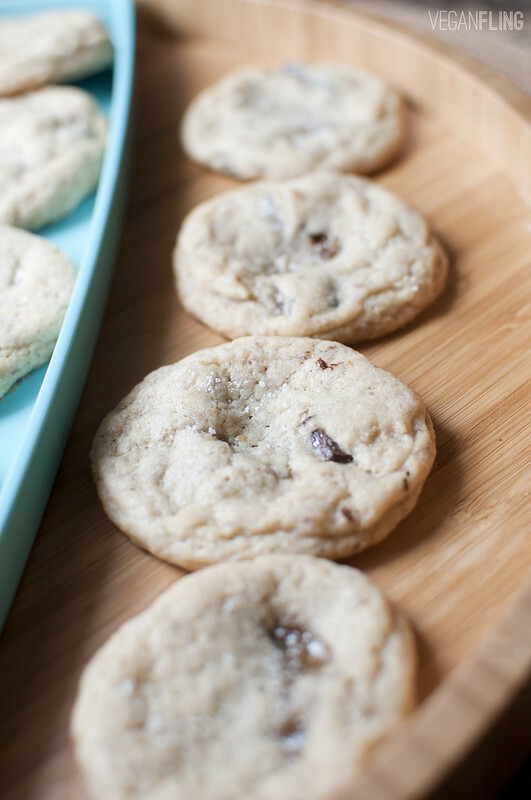 Fold in the chocolate chips, then chill the dough for 30 minutes in the refrigerator. Once your dough has chilled, form 2 small balls of dough, place a piece of caramel in between and then press together to cover up the caramel. 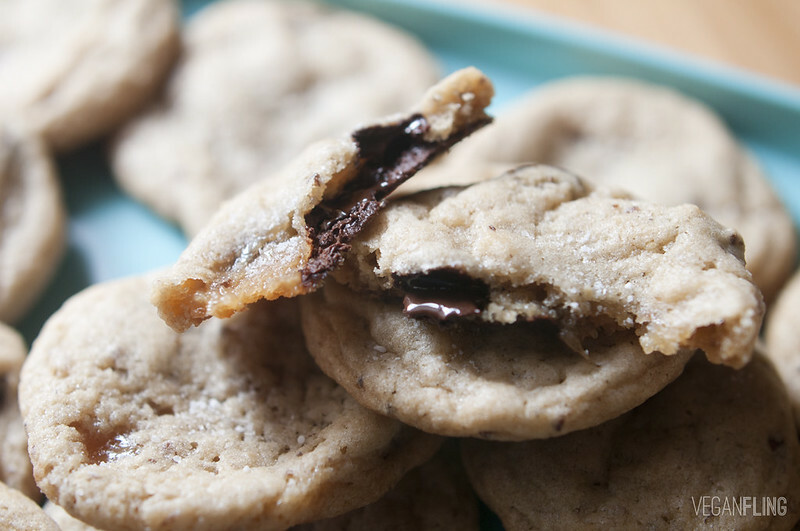 Place formed cookies onto a baking sheet and bake for 10-12 minutes. Sprinkle the tops with sea salt and let cool. 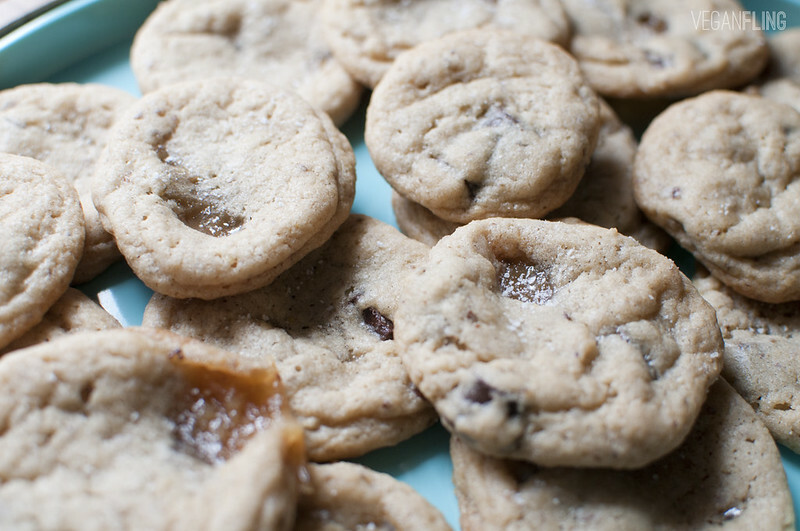 Just one more little note: make sure you put are covering up the caramel candies with the dough completely. If you just stick them on the top they will ooze out and cover the whole bottom of your baking sheet in a baked on caramel coating. Not that this happened to me or anything... ;) Enjoy! ahhh i want a ton of these cookies!!! Salted Caramel gets me all in a tizzy! I didn't know there were pre-made vegan ones! Squeee! And in these cookies! WOW! 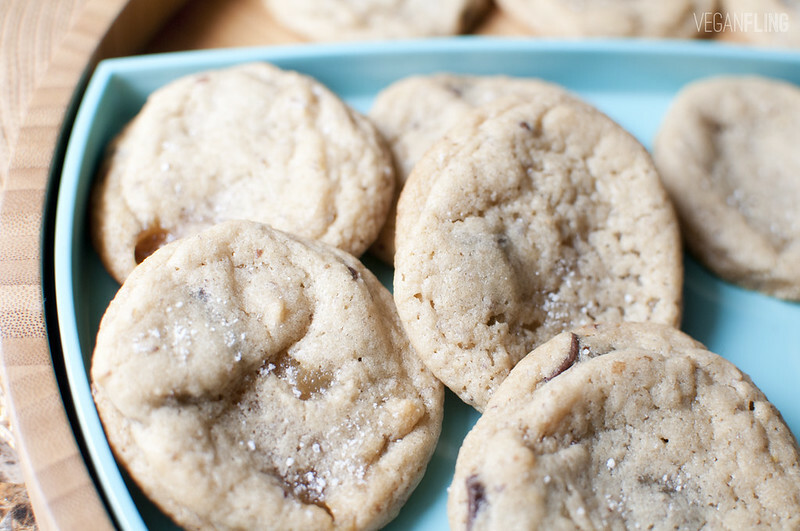 salt, caramel and chocolate chips? i'm in! Gorgeous and delicious cookies, Melissa! I love caramel and chocolate together!